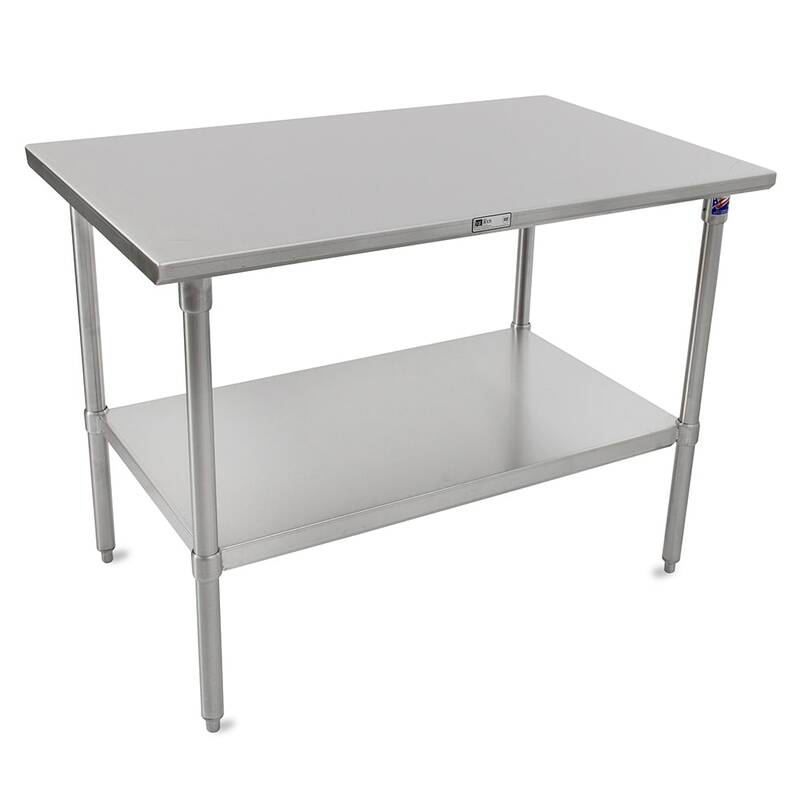 The John Boos ST6-3036SSK work table is made of corrosion-resistant stainless steel that provides strength in commercial settings. Reinforced and TIG welded, the sound-deadened top minimizes noise in the kitchen. All exposed welds are polished to blend with adjacent surfaces. An included undershelf gives staff an additional place to store equipment and supplies. The side edges on this John Boos ST6-3036SSK work table are turned down at a 90 degree angle to line up flush with other units, and the front and rear stallion edges eliminate sharp angles that can lead to injury. 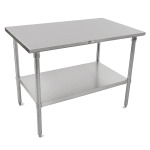 To learn more about commercial work tables, visit our tables and stands buyers' guide.